My neck pain is killing me! Do not let everyday neck pain gets in your way and limiting what you can do! Many of us are having the problem of chronic neck or shoulder pain. That is commonly due to bad posture such as slumping over the computer screen for hours, bad sleep posture and jerking your neck during exercise. The painfulness of cervical spine, or stiff neck, might seem minor and often neglected. Since our neck coordinates the nerve signals to the brain, the increases of pressure on neck and shoulder area over a long time can cause some serious damage to your body. It includes numbness/tingling of arm and finger, trouble gripping an object and problem with walk balancing. The existing solution in the market includes the neck stretcher and neck traction belt. These traction devices compress the air so that to stretch your neck and relieve the tension built around your neck area. While having a neck shoulder massage devices is great, here is one of the simplest and best ways that loved by thousands of people. Tranquil 2.0 is a neck pain decompression device that helps to relax your neck in a few minutes. It helps to take the pressure off your shoulder by improving blood circulation to your head area. This neck stretcher comes with 4 levels of decline adjustment. 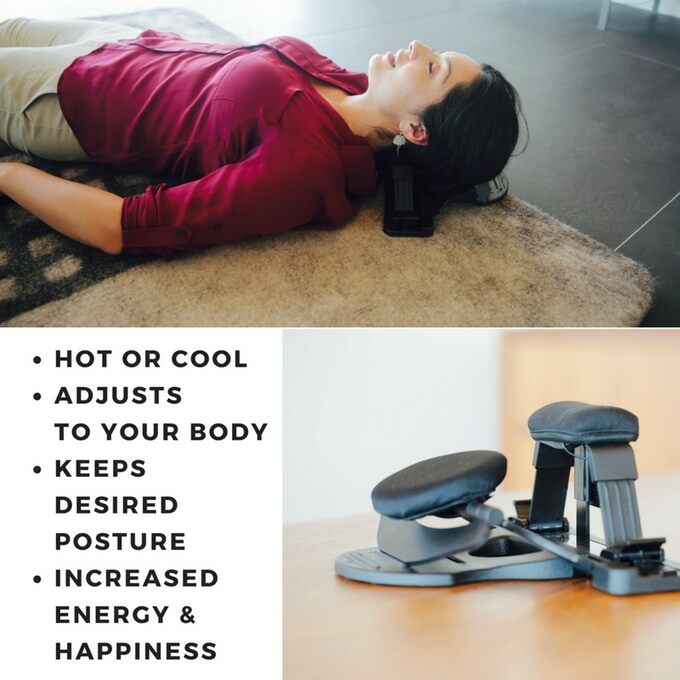 Simply place it on any flat surface and lying down with your head and neck on the support pads for a few minutes and you will be waking up in high spirit! 31% of Americans suffered from chronic neck and back pain, and you are clearly one of them. For a maximum relaxation session, Tranquil 2.0 has an inbuilt head pad with 3 heat settings. It stimulates the blood circulation and releases your day-long work tension immediately. It is USB rechargeable and does not require cell batteries at all. Designed for high portability, Tranquil 2.0 is small, light-weight and very convenient to use. 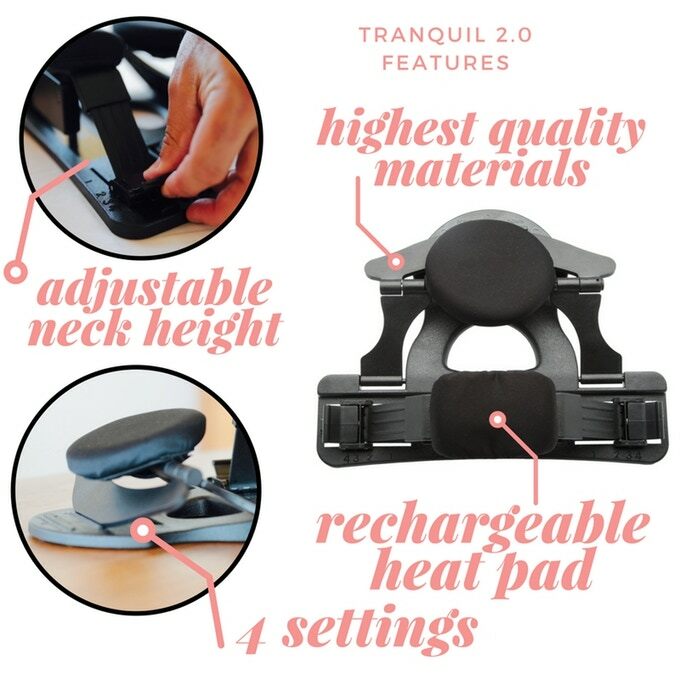 Tranquil 2.0 is now on Kickstarter! You can now support their project by backing their campaign from as low as only $75, and you will get a Tranquil 2.0 with an exceptionally low price offer! Check the green link below for latest pricing and availability. We will recommend pairing with Zero-Gravity Upright Posture Cushion for a better result! Want more awesome Kickstarter project? Check out our latest list of 40+ Kickstarter projects you can buy now.